Fort Bridger in southwestern Wyoming dates back to 1843 when Jim Bridger and Louis Vasquez established an emigrant supply stop along the Oregon Trail at the Black’s Fork of the Green River. It became a military post in 1858 and was later operated by William Carter, whose family lived at the site until after it was purchased by the Wyoming Historical Landmark Commission in 1928. The fort today includes several stone buildings built by Mormons who occupied the site prior to 1860. Workers from Wattle and Daub Contractors repair a stone wall at Ft. Bridger in southwestern Wyoming. Several of the stone structures were built by Mormons, who occupied the site before 1860. Historic mortars, which hold the stone structures together, are often lime-based and need repaired and replaced over time. 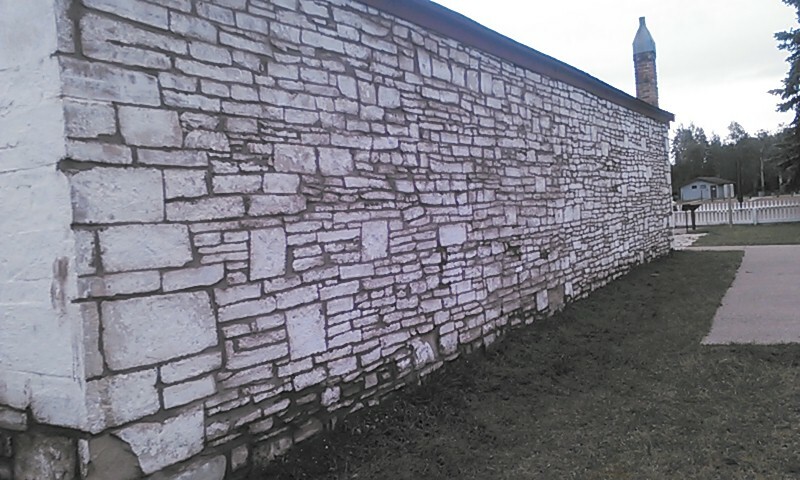 Stone structures rely on mortar joints to keep them weather-tight and structurally sound, and as the mortar degrades over time it must eventually be replaced. Historic mortars such as those used at Ft. Bridger are usually lime-based (instead of Portland cement) and, according to the Secretary of the Interior’s Standards for the Treatment of Historic Properties, must be replaced “in kind.” Under a Wyoming State Parks Commission contract, my firm, Wattle & Daub Contractors, Inc. of Laramie, removed and replaced miles of deteriorated mortar joints on the stone buildings at the site. A job like this gives a person plenty of time to think. Spending weeks at Ft. Bridger, in a region that was virtually uninhabited at the height of the site’s use, made me realize that what happened here did much to establish the “boom and bust” cycle that is still with Wyoming today - an unintended consequence and sharp reminder of emigration’s impact on the course of our history. The Milk House is one example of stone construction at Ft. Bridger.